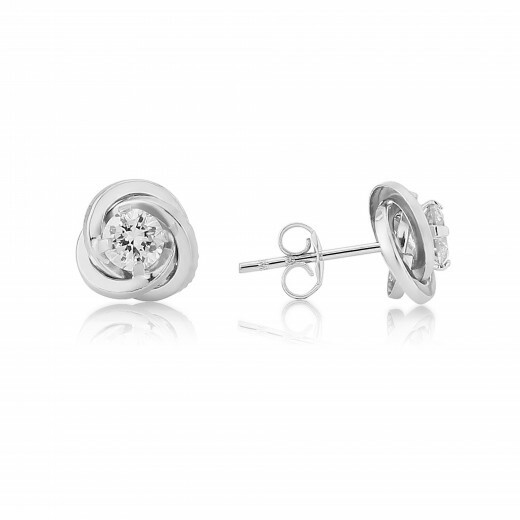 Every jewellery box needs a pair of sparkling studs and these White Gold twinkling Cubic Zirconia’s are just perfect. 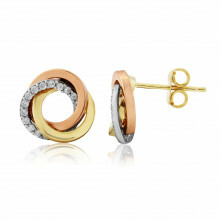 Round, faceted stones set into a 'knot' of Gold with a centre claw setting. 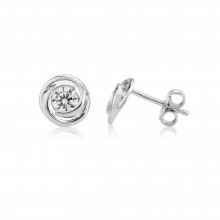 A sweet alternative to the more classic stud design and a beautiful wear-anywhere accessory. One of our bestselling gift pieces.